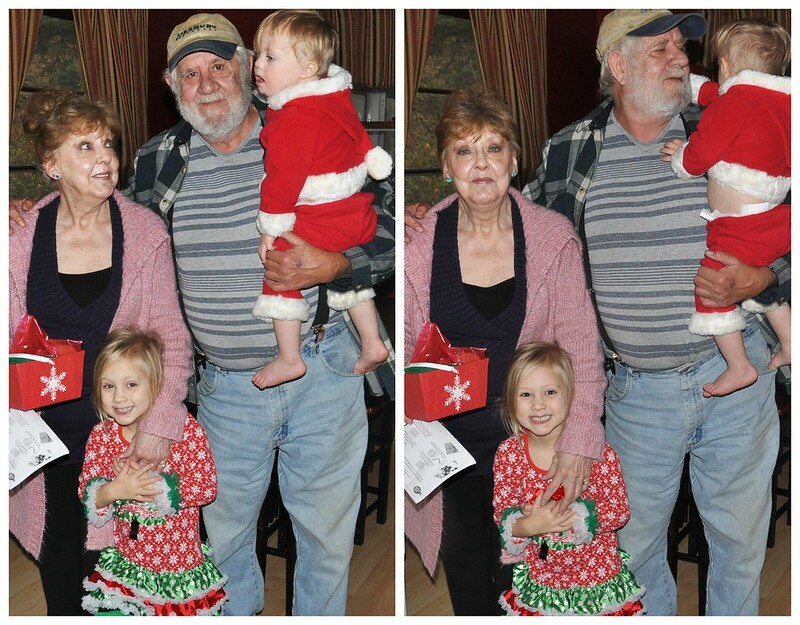 Tradition is so important to my family, especially during the holiday season. 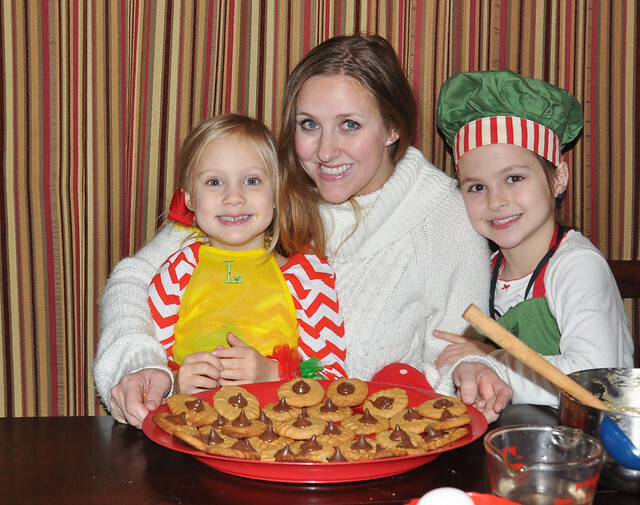 We have a LONG list of beloved Christmas Traditions! 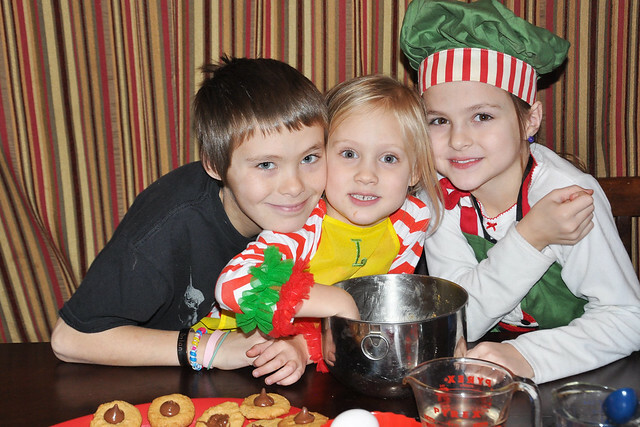 One of those traditions on our list is baking Christmas cookies together. We typically save our baking until just before Christmas, but this year we're starting a bit earlier. 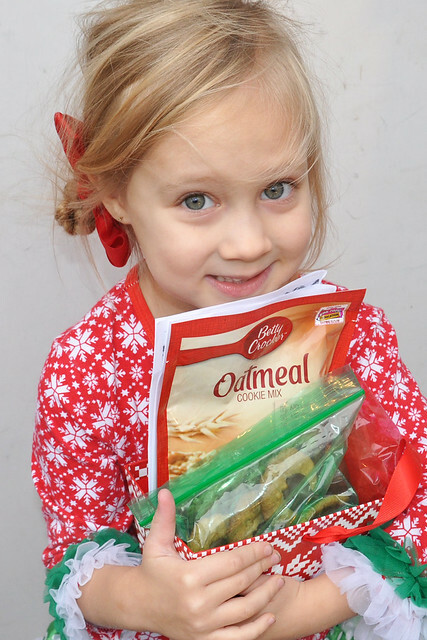 We're participating in a NEW tradition and teaming up with Betty Crocker to #SpreadCheer! My husband and I are working so hard to teach our kids how important it is to spend time together as a family. We're working just as hard to show our kids how important it is to give to others. 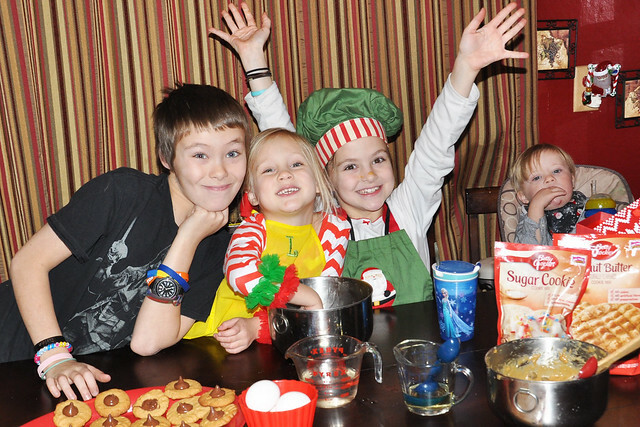 We can have fun together baking cookies, and Spread Cheer along the way! How exactly do you spread cheer? It's easy! It's exactly like Boo-ing someone at Halloween, only with Betty Crocker cookies! 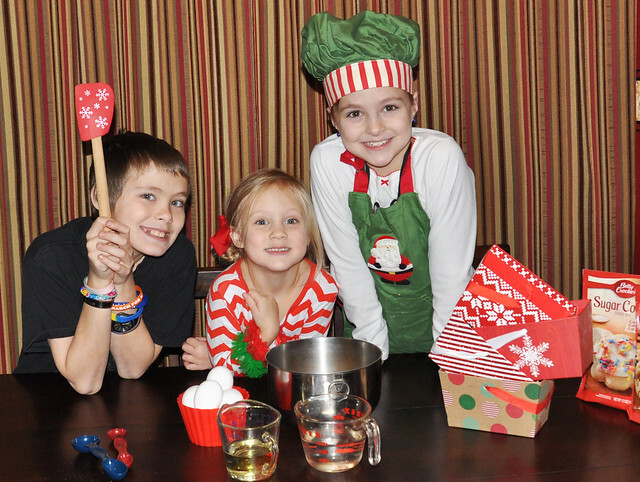 Visit the Betty Crocker #SpreadCheer page. 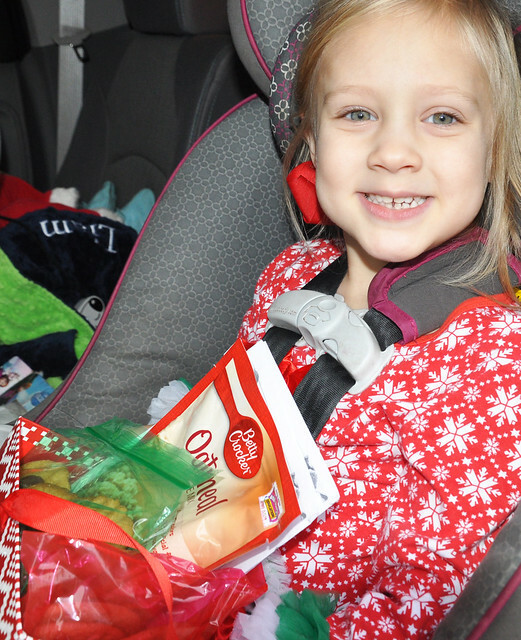 You can print a coupon and #SpreadCheer printables. Use the coupon to buy Betty Crocker Cookie Mix and bake some cookies! Package those cookies up and deliver them to someone who could use a little extra cheer this holiday season! Toss in those printables so that person can #SpreadCheer, too! I'm a busy mom, and I don't have much time to spend making cookies from scratch. I kind of have my hands full with 4 kids! 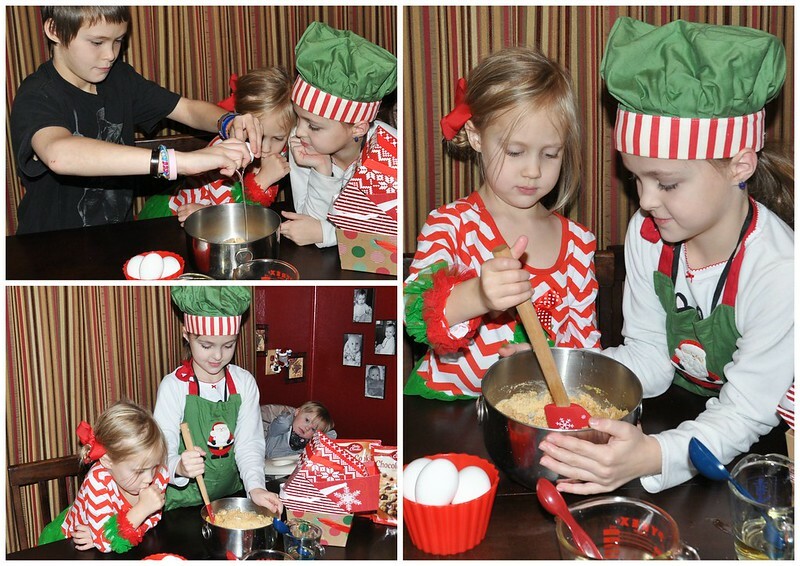 I love baking with my kids, though, so Betty Crocker has been a part of our Christmas Cookie Baking tradition for many years! We ALWAYS use Betty Crocker Cookie Mix, and we add our own extra ingredients. It's an inexpensive, quick, and delicious alternative to making cookies from scratch! 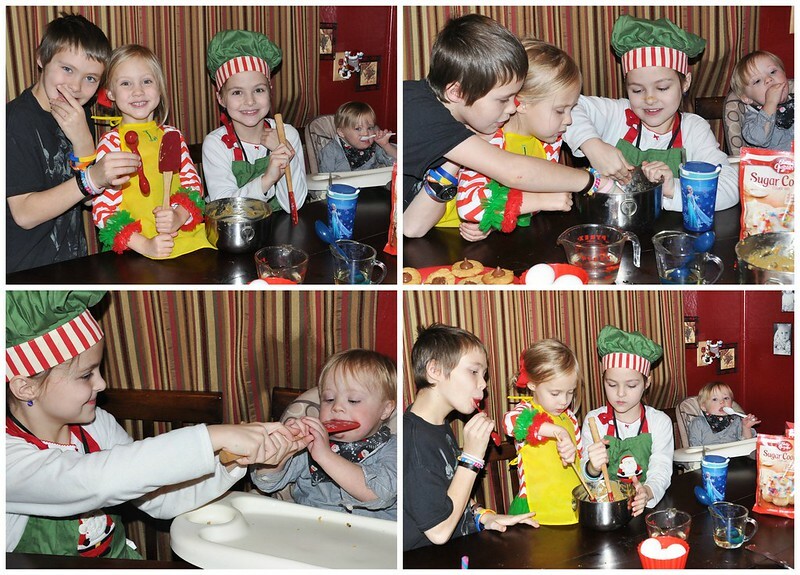 Over the long holiday weekend, I gathered up my crew, explained the new twist in our Christmas Cookie Baking tradition, and I put them to work! Now...let me be completely honest. THREE of my little elves worked. ONE little elf just supervised. Letting the toddler tornado assist in the mixing and baking would have been disastrous! All that hard work paid off! It was so hard to resist eating those delicious Peanut Butter Blossoms and Chocolate Chip Cookies, so they were rewarded with the empty bowls to lick clean. OF COURSE! It was a GREAT family night! I got to bake with my kids. 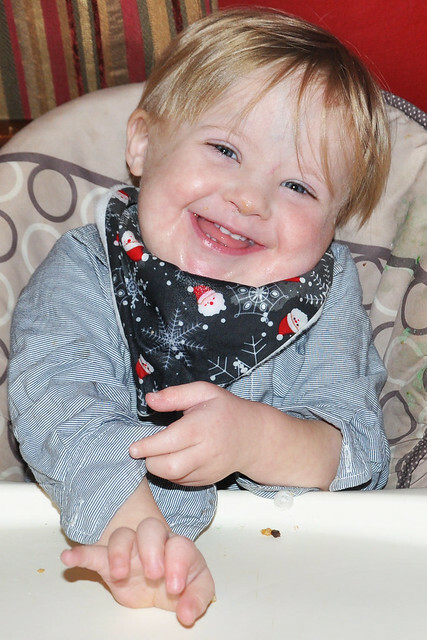 Liam loved being the taste tester! We spent some valuable family time together. AND now we get to #SpreadCheer! 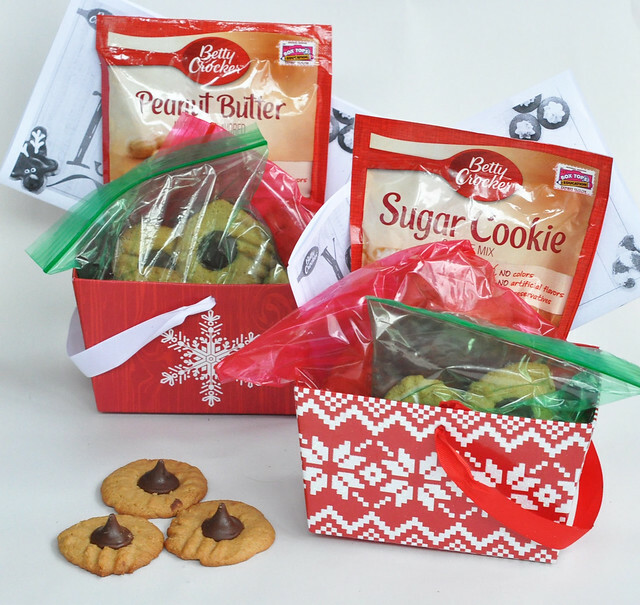 We packaged our cookies in cute cardboard holiday boxes, tossed in a printable, and added a pouch of Betty Crocker Cookie Mix. We delivered our first basket today to my dear friend, Amber! Right after that, my parents stopped by. My mom is a baker so nobody ever bakes cookies for her. She can't say that anymore! We have several more baskets going out this week. Our goal is to #SpreadCheer throughout the next 3 weeks! The second item on our Christmas Tradition bucket list is checked off and December JUST started! We're on a roll! One lucky reader will win a $20 gift card to Target! 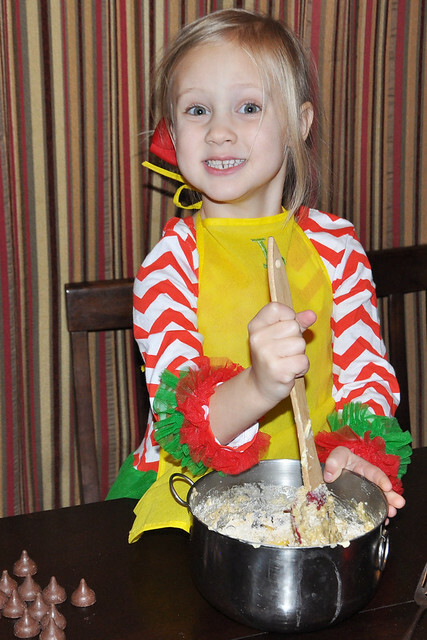 Betty Crocker wants YOU to join in on the fun and #SpreadCheer this holiday season! Entering is really easy and fun! Betty Crocker wants this concept to go viral, and needs your help! 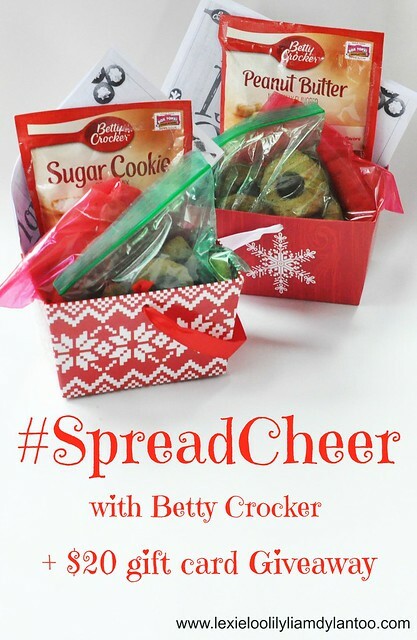 Visit the Betty Crocker #SpreadCheer page and print out a coupon and the #SpreadCheer printable. Let me know in the blog post comments which cookie mix you will buy and who you will #SpreadCheer to. Confirm your entry on rafflecopter. 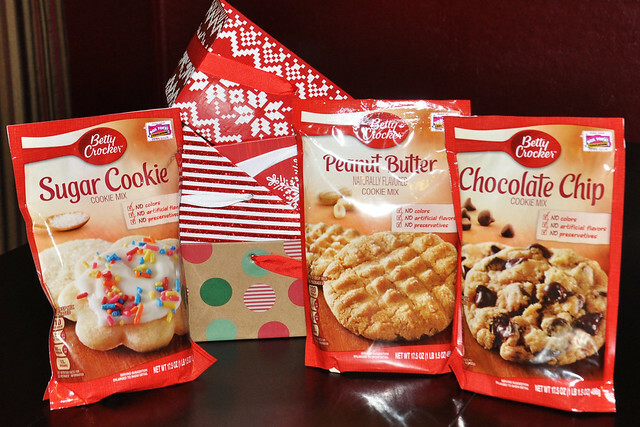 Buy a Betty Crocker cookie mix, bake those cookies, and create a #SpreadCheer basket, box, or gift bag. Post an original photo on Facebook, Twitter, or Instagram with the hashtag #SpreadCheer (Bonus points for nominating a friend or two to #SpreadCheer and for tagging me in the post). Confirm your entry on the rafflecopter widget and leave your link in the comments of this blog post. *In order to win, you MUST participate. I will be confirming entries! Who will you #SpreadCheer to? Use the hashtag #SpreadCheer on Facebook, Twitter, and Instagram. Let's focus on giving this holiday season and make this concept go viral! 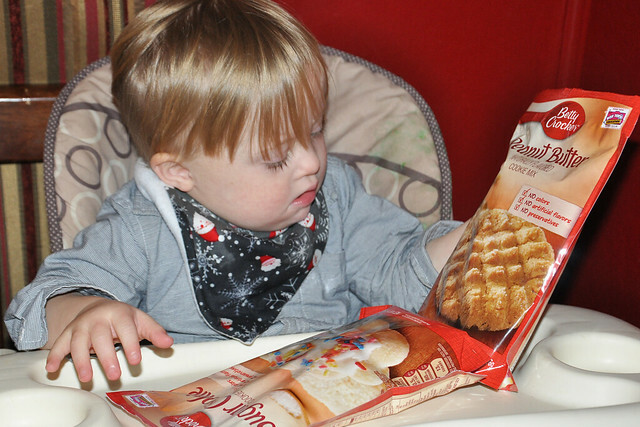 Thank you, Betty Crocker, for sponsoring today's post and inspiring my family to #SpreadCheer this holiday season! 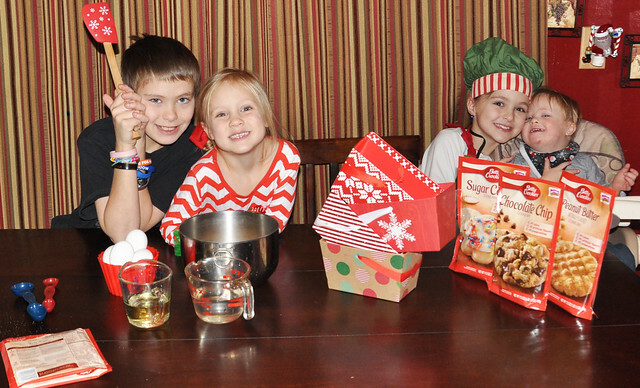 I have four kids too (teens now) and I love that Betty Crocker helps make baking with kids so easy. I'm sure your kids will remember baking with you when they're all grown and will hopefull continue the holiday baking tradition with their kids. Thank you so much. You have no idea how good it made me feel to still believe someone out there loved me. I love you all with all my heart. I'm pretty sure I say this every time I comment here, but your kids are absolutely adorable! I think baking is one Christmas tradition that is an absolute must! so fun. What great memories! 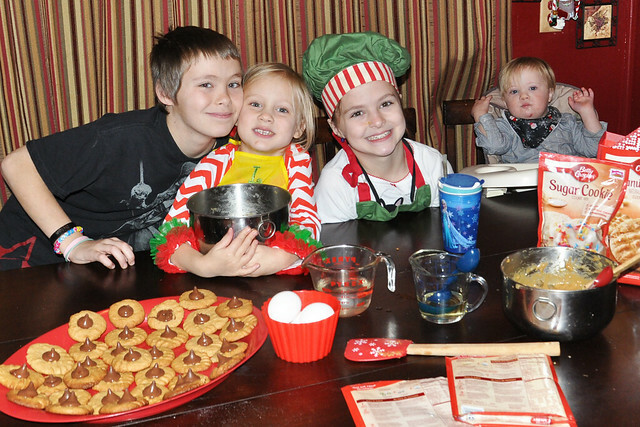 I love how happy and focused your kiddos are while baking. Love the photos! 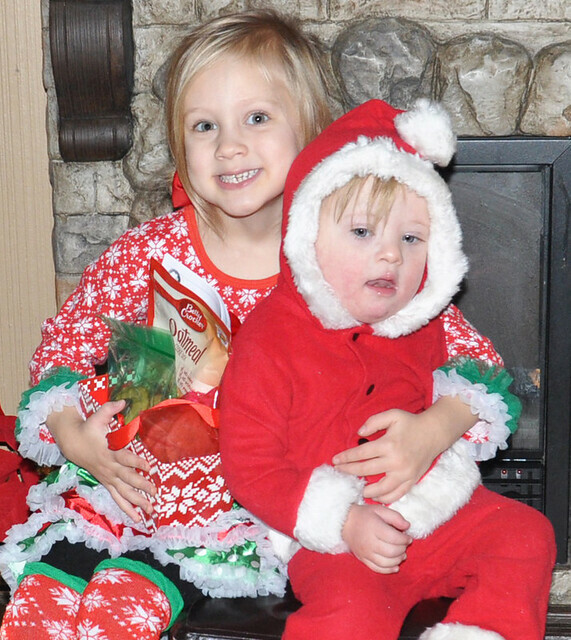 I love the sugar cookie mix and I nominate the video #SpreadCheer in you Neighborhood! I would buy the sugar cookie mix and would spread cheer by making goodies for my co-workers! I bought the chocolate chip mix and we #spreadcheer to the local nursing home. I would use the coupon to buy chocolate chip cookie mix and #SpreadCheer to my friends and family. I would buy the peanut butter! I would spread cheer to my sister. Oh! I love this! 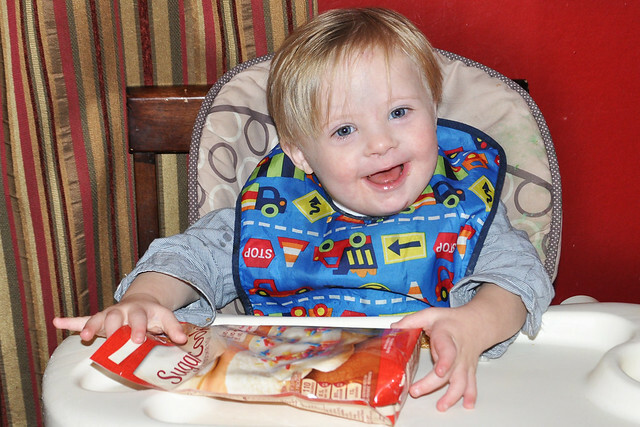 We LOVE the oatmeal chocolate chip cookies! And you are so right, this is a great way to make cookies when you have 4 kiddos. Hoping to keep doing this once a week through the holidays.